I recently picked up a Jordan Bus model at MB Klein‘s in Cockeysville – I have been going there for 28 years and has been a decent hobby shop. This was my first Jordan model and plan to airbrush it after it is finished – shouldn’t be too hard since I’m careful with masking. Anyway, a while back I purchased 1/100 scale figures on eBay that I have used for places where my citizens are more than 2 feet from the front of the layout. They are convincing and at the price I paid I can have a whole city of them for a few bucks unlike the more popular figures from Preiser and others. 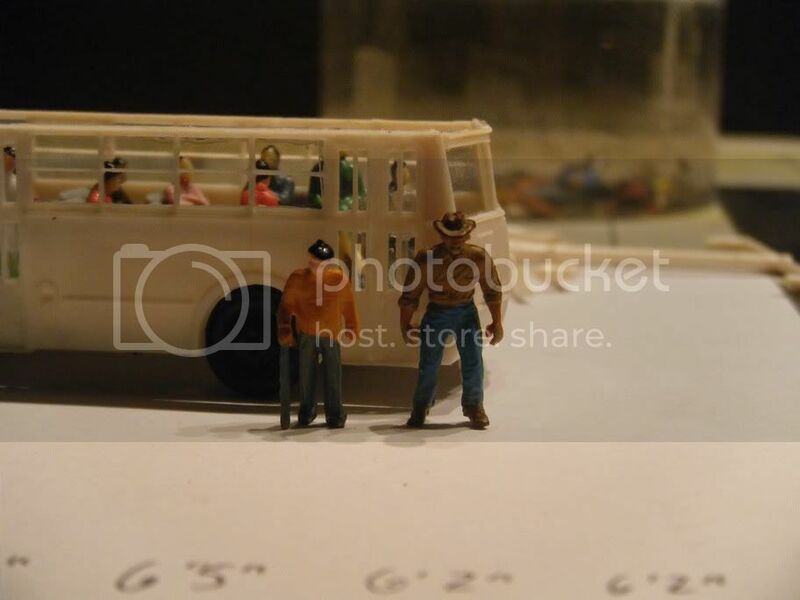 Since I had a number of seated figures, this was the right time to use them in my Jordan Bus model. As you see from the pictures below, they fit just fine – and better than a normal HO scale figure would fit. On the first few pics I show assembly of the model, then adding people. 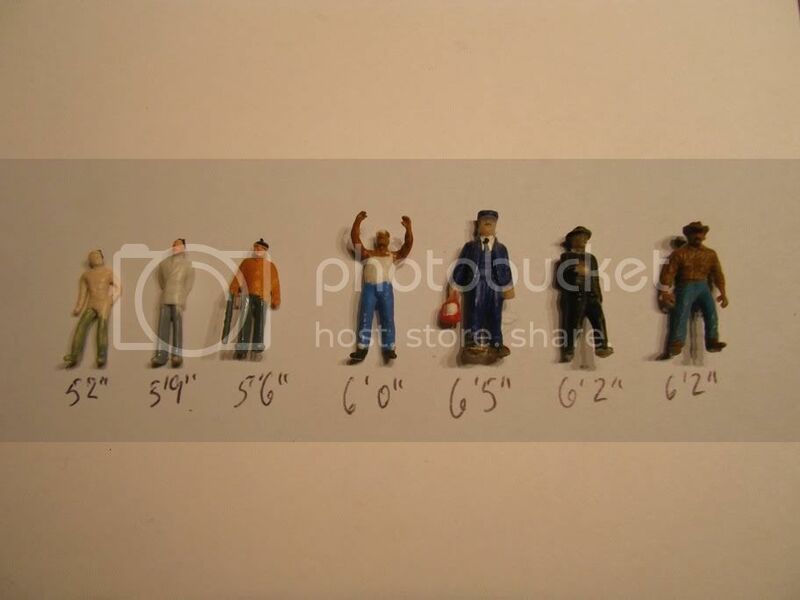 The latter pictures show a comparison of the relative sizes of HO scale people versus the 1/100th scale figures – and I have to say that I am all about the smaller people! Here they are all seated. I added two more standees after this pic was snapped…. Here is a shot of them standing near the bus. I vote for 1/100th scale people!